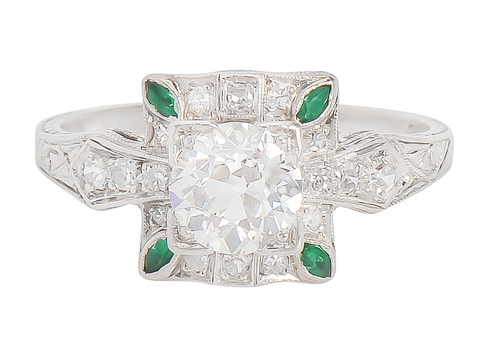 Exquisite Art Deco Style Vintage Diamond & Emerald Engagement Ring! 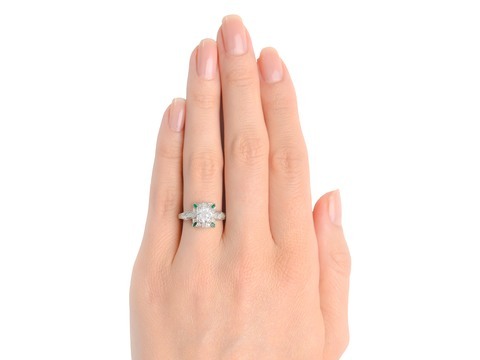 Diamonds: Seventeen diamonds, total weight of 1.07 carats. 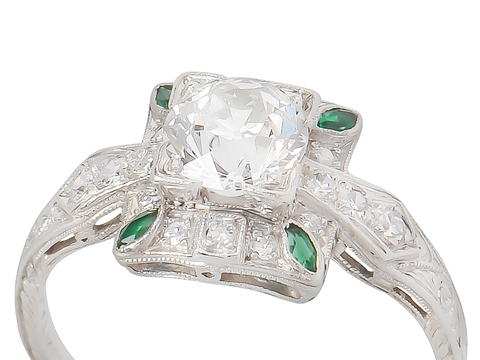 Detail: One old European cut diamond of .91 carats. Color G-H, clarity VS2-SI1. 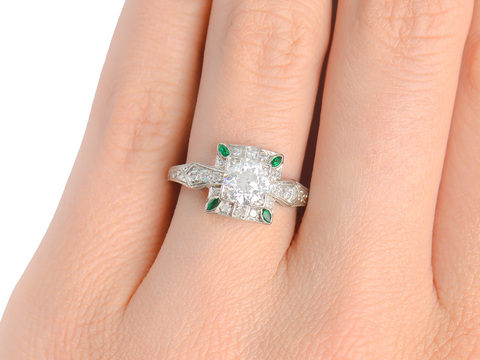 Sixteen single cut diamonds, each of .01 carats, total .16 carats. 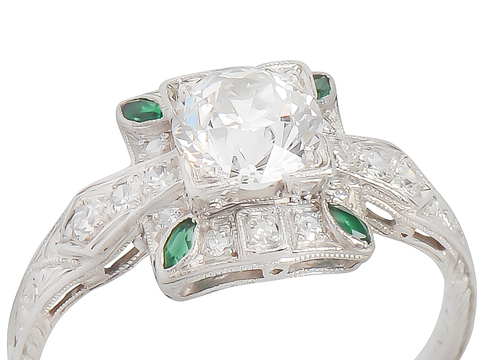 Gemstones: Four synthetic marquise faceted emeralds, each of .03 carats, total of .12 carats. Mounting: Platinum. 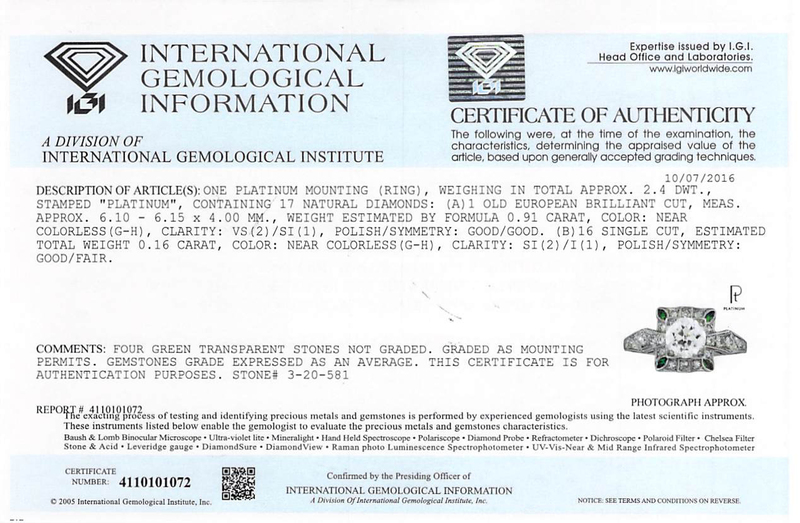 Hallmarks: 5% Irid, Platinum, SD. Weight: 3.7 grams. Ring Size: 7 Origin Mounting: American. 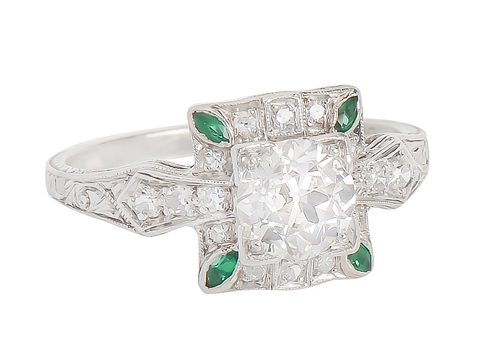 Date: Earlier 20th century for the center diamond, circa 1950 for the mounting. Conflict Free & Eco Friendly. 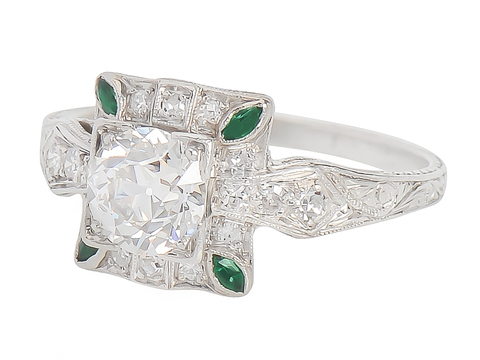 One of a kind, unique set with an antique old European cut diamond center! Low profile, easy to wear. You won't see another one!